Rajasthan government is going to provide free education for girls in all state-run academic institutions from the next academic year. The announcement about the Rajasthan Free Education Scheme 2019 for girls was given on official twitter handler of govt. of Rajasthan. The primary objective of this scheme is to raise the literacy rate of school girls in the state. Rajasthan Fee Education Scheme 2019 has been announced after the launch of free coaching classes in 40 govt. colleges at Shiksha Sankul. 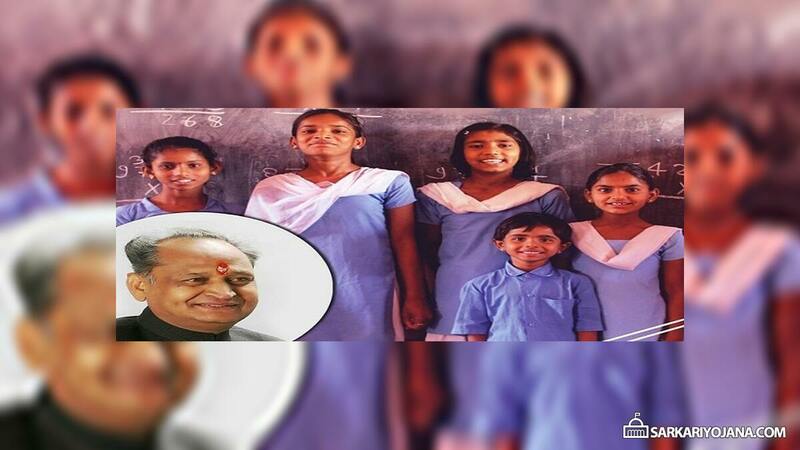 The scheme to provide free education for girls in Rajasthan is going to be implemented from the next fiscal year. In its election manifesto, Congress party had promised to provide free education for girls in all governmental institutions in case of being voted to power. Free Education Scheme for girls in Rajasthan will provide free of cost education to girls in all state run institutions. This scheme is going to benefit all sections of the society particularly SC, ST, OBC and girls from poor sections of the society. Now all the girls from deprived sections of the society would be able to get high quality education in govt. schools. For this, govt. is also planning to recruit highly qualified teachers for govt. schools. In addition to this, govt. will also setup complaint committees in colleges to ensure seamless and fearless environment for students. The state govt. will also provide free coaching to college students for the preparations of competitive exams and this has already been started in 40 colleges. This Free Coaching Facility is going to be rolled out in all the 252 govt. colleges by the month of February 2019. Moreover, the colleges are also going to make stellar use of technology via biometric attendance of girls every morning. This technology will enable school authorities to send a message to guardians in the morning that their child has reached the college. Similar to this when the girls leave for college, guardians / parents of girls could send message a message that their child has left for college. Rajasthan Free Education Scheme 2019 is a major step for the children to study and build their career. Subsequently, students would be able to earn their livelihood and can contribute to the growth of entire state. Punjab govt. also provides free education to girls from nursery to college level to enable education more accessible to girls from poorer background. Other measures also includes pre-primary classes from nursery and lower kindergarten to open in govt. schools in next academic year. Govt. will also provide fee internet service in around 13,000 primary schools and 48 govt. colleges. Moreover, govt. will also provide free textbooks to students of govt. schools and will also post textbooks online which would remain available for students to download. The state govt. would also provide additional English coaching which is considered as weak point for students.